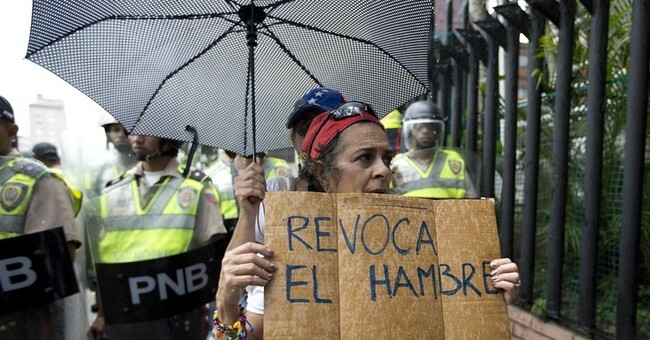 The government of Venezuela has issued a decree that "effectively amounts to forced labor" in an attempt to fix a spiraling food crisis, according to a new report from Amnesty International. A Venezuelan ministry last week announced Resolution No. 9855, which calls for the establishment of a "transitory labor regime" in order to relaunch the agricultural and food sector. The decree says that the government must do what is "necessary to achieve strategic levels of self-sufficiency," and states that workers can be forcefully moved from their jobs to work in farm fields or elsewhere in the agricultural sector for periods of 60 days. "Trying to tackle Venezuela's severe food shortages by forcing people to work the fields is like trying to fix a broken leg with a band aid," said Erika Guevara Rosas, Americas director at Amnesty International, in a statement. Again, socialism—policies that are so good, they’re mandatory.